Siddipet District with Mandals in Telangana State, Siddipet District with Mandals, Siddipet District, Siddipet District in Telangana State: Siddipet District is a district in Telangana state in India. 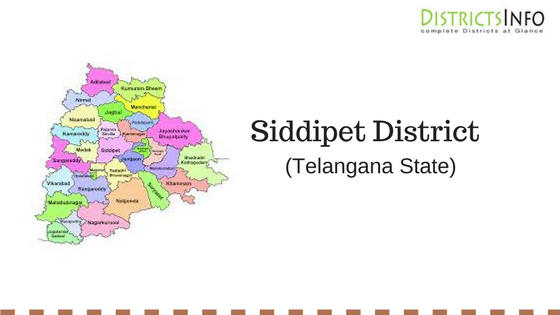 Siddipet District was taken out from Medak district and some parts of Karimnagar and Warangal district. The district has 2 revenue divisions with 18 mandals. The district is bounded by Karimnagar, Sircilla, Medak, Medchal, Warangal Urban, Yadadri, Kamareddy, Jangoan districts. The district has some tourist places and people come here to roam and enjoy. Also, the greenery in this district is good and better than many districts.